Ventipop Blog Grind #86 :: Sapiosexuals, Wreath Witherspoon & Bob Has Diabetes Become a Patron! You should really send me a check for all the knowledge I'm dropping on you in this edition of the Daily Grind. Today's curriculum includes Sapiosexuality 101, Japanese Travel for Book Nerds 202, Graphic Novel Collection Alphabetization Masters Level, Weird Inventions 103, and Boring Gifts for 300, Alex. Do me a favor, look in the mirror before you read this. Look again after and tell me you don't look like a smarter version of your old, tired self. As my insane friend Andy likes to say, "Oh, it's on like Donkey Kong". This story sounds so made-up, but it's true. Japan is offering discounted noodles to seniors over the age of 75 if they give up driving. Actress Reese Witherspoon has a delightful sense of humor. She's offering the "Wreath Witherspoon" dress for sale on her website. The traveling bookworm's dream finally came true: Sleep inside a comfy bookshelf in Tokyo's new bookstore-themed hostel. I'm pretty sure this in direct contradiction of the holiday spirit, but if a retailer sends you something by mistake...you can keep it. A mousetrap pistol, a moustache shield, beating breasts and green grass slippers are a few of the "Top 20 Weirdest Inventions Ever". 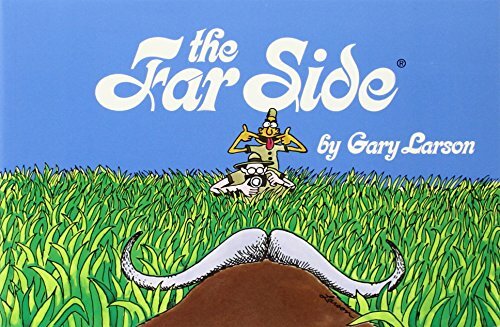 If you forced me to make a top 10 list of pop culture things I miss, Gary Larson's cartoon The Far Side would for sure be near the top. It was my morning motivation for nearly two decades. Mental Floss offers up "11 Twisted Facts About The Far Side". PopQuiz Hotshot! : "Completely Acceptable Words People Think Are Wrong".